Well hello there! Can you believe how crazy Blogger has been over the last couple of days?? Me oh my. Well thank goodness, they've finally got us back together. So here is today's post... a little late, but better than never! Last month when David and I visited Puerto Rico, I was amazed by all of the beautiful color that surrounded San Juan. I fell in love with the vivid images and realized how well so many of the color schemes would work as interiors. 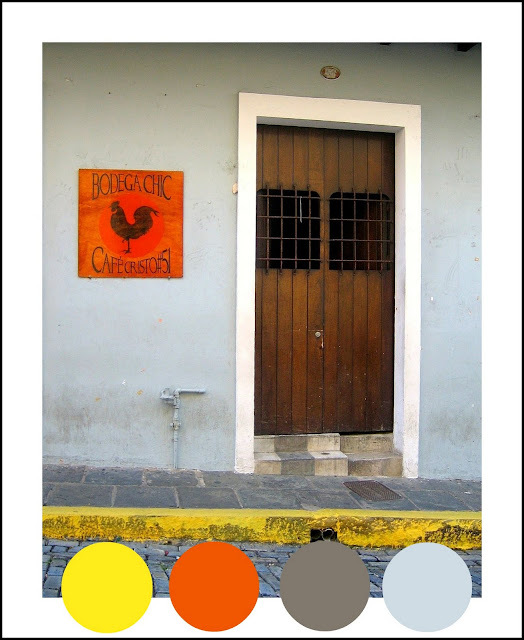 Cue this post.... the Color Files - Puerto Rico style! Don't you wish that you had a random alleyway somewhere near your house that was this beautiful?! It's incredible how well these colors naturally work together- while the smokey blue and slate grey act as a base, the deep tones of the natural wood and the splashes of lemon and tangerine pop in the most perfect of ways. How incredible would this look as an interior? See what I mean?! 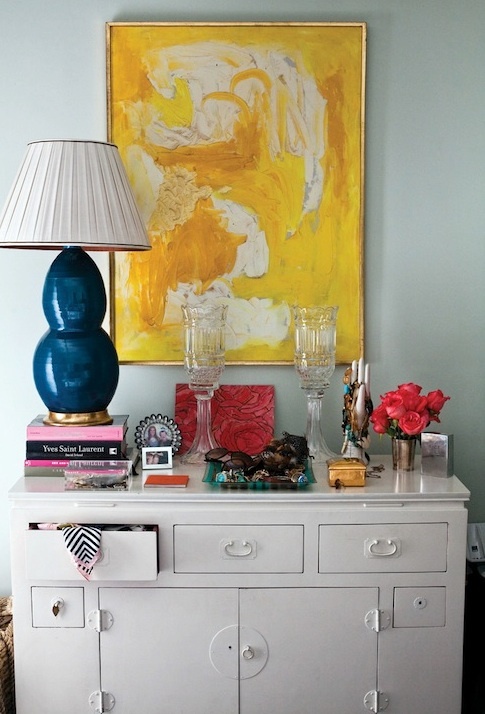 This beautiful room belongs to my blogging pal, Courtney. 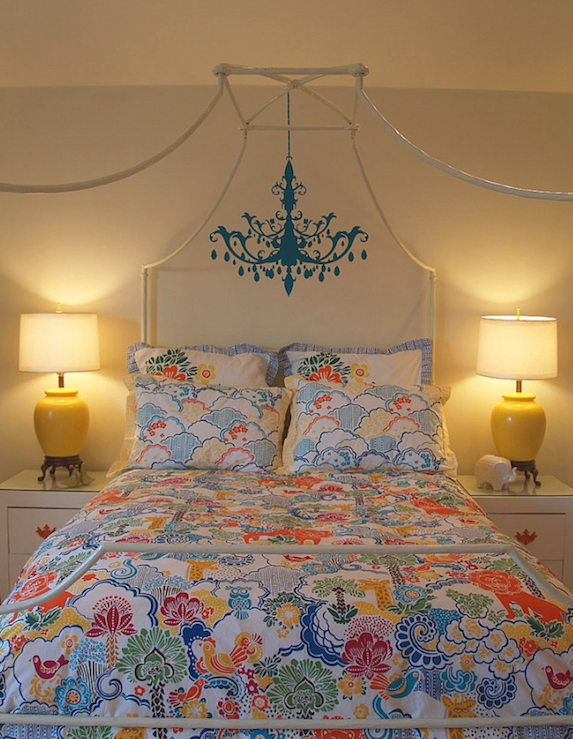 He uses the color scheme in his beautiful music room the same way you see in the Puerto Rico picture above- bases of wood and smokey blue with pops of the fun colors. Such a great job, Courtney! He's a talented guy. 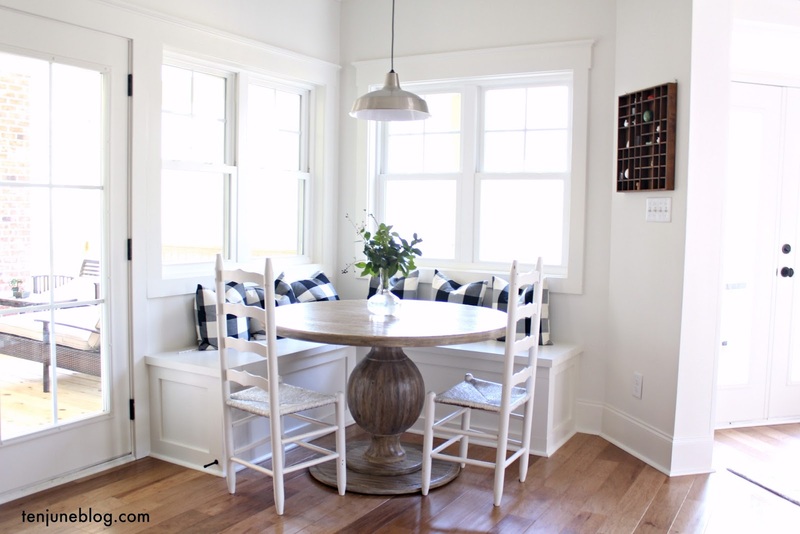 And you all know how much I love that Ikea rug, since it's in my dining room! Click on over and give Courtney a visit- you won't be disappointed! 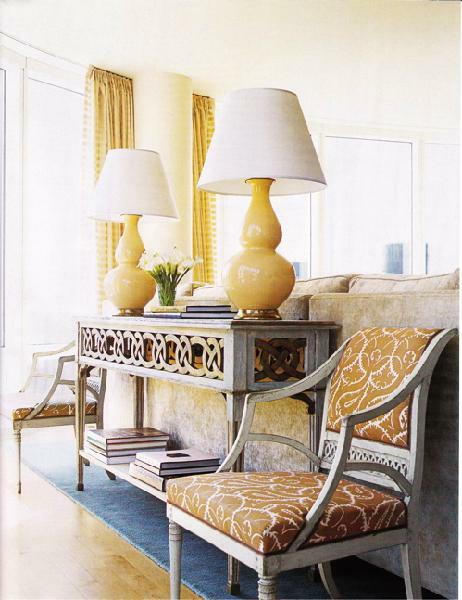 This incredible Kelly Wearstler room uses the same scheme, although in a slightly more muted fashion. I'm loving how well these colors work together! Here are a few more inspiration pictures, for good measure. Great colors! Glad blogger is finally back to normal. I love those colors together! Courtney's music room is fabulous. That rug from Ikea is a great find. I remember eyeing that in your dining room and admiring it. Have a great weekend, Michelle. 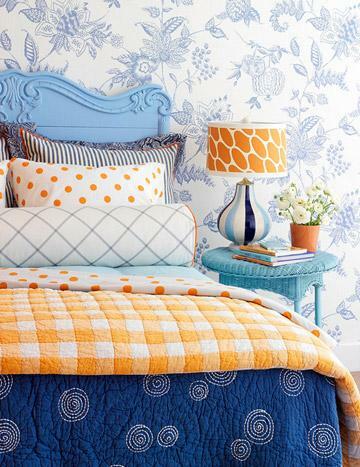 I love the pic with the orange and blue bedding and light blue headboard... I might even be drooling a little bit. ;) I'm definitely feeling inspired to have some color in my life after looking at all of this lovely eye candy! Thanks. I loved PR when I visited 2 years ago and probably have the same photo as you! I loved all the colors! Great post! 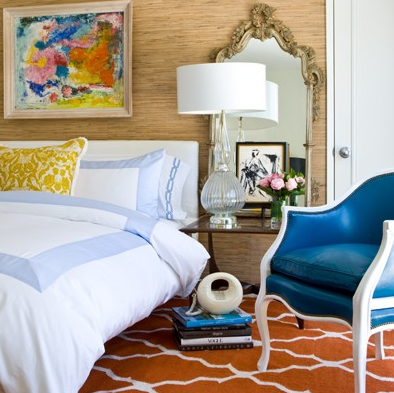 Love that you found interiors with the same hues. I think I belong in Puerto Rico;) These colors are amazing! My cousin and her bf are in Puerto Rico right now and I can't wait to see some of her pics! LOVE Love love all of the color! Great Pics - PS-Love the kitty in the photo - Looks a bit like my tortie-calico, Miss Kitty! i had no idea i would love those colors together so much! but i do, i do! I'm loving these colors! Tangerine=amazing. Wow I LOVE all these vibrant colors!!! So pretty! this reinforces why kelly w. and i would be best friends. 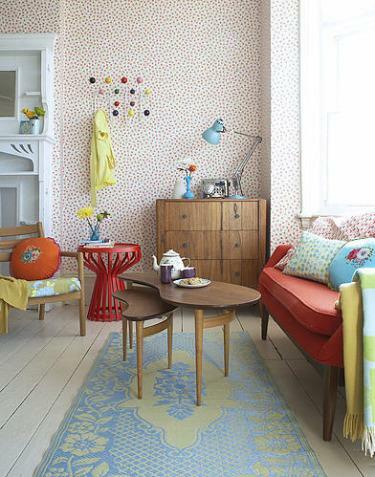 :) love that room... and your ikea rug is kickin. jealous! yay, i love courtney!!! great post michelle!